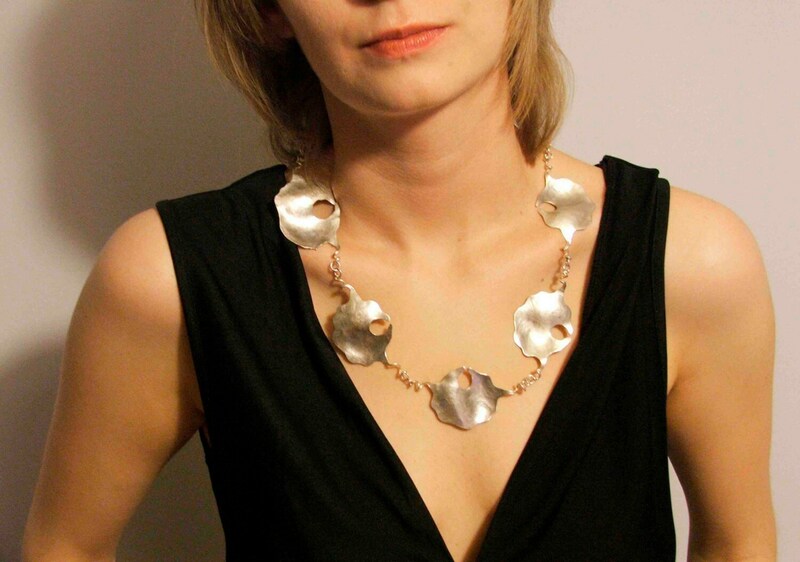 The Oisrí (Gaelic for, Oyster) Necklace is an award winning design that can be worn three ways. It can be worn as a full necklace, it can be worn as a choker with a backless dress or it can be worn with a frontless dress! You choose which way you want to wear it. 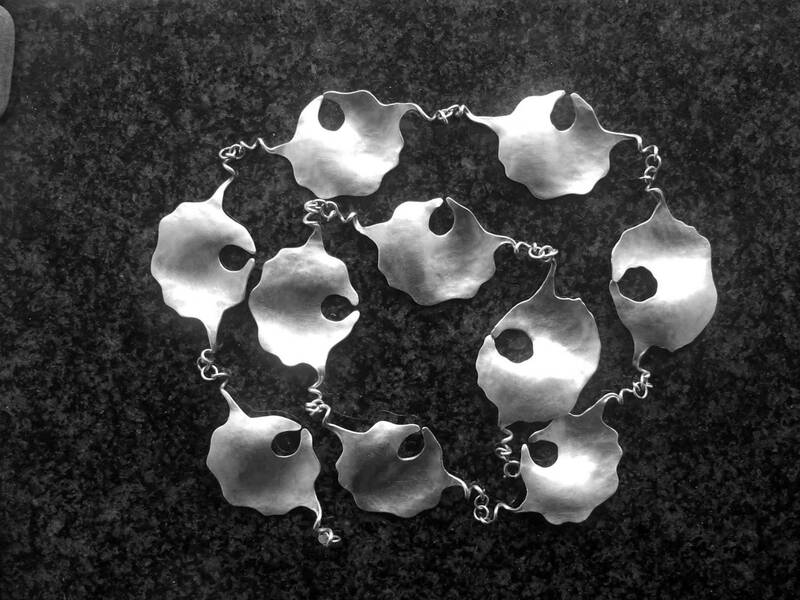 Each Sterling Silver piece is cut from a sheet of Silver and hammered into shape. It takes many hours to create. 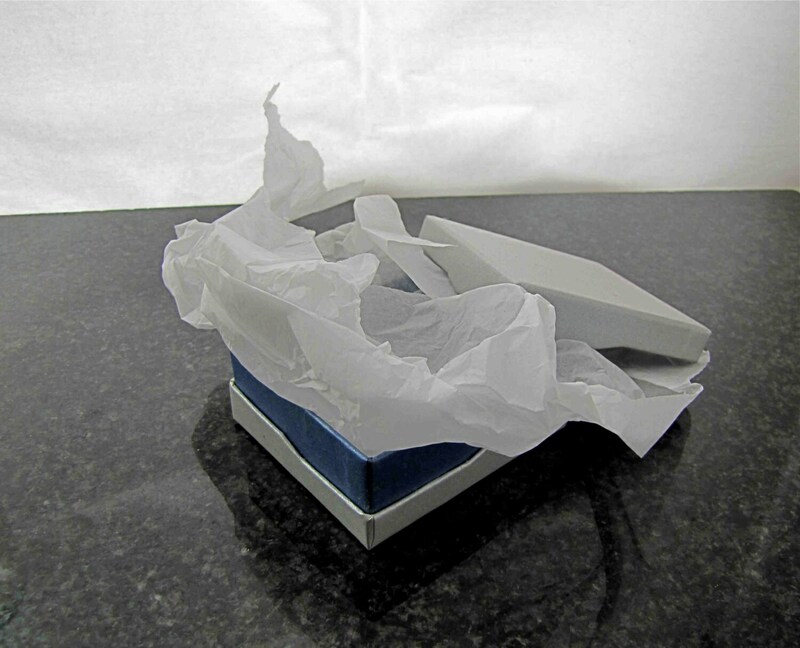 The silver has to be heated several times to keep its softness for working. Each piece is then joined together by soldered rings. Being handmade makes each piece, unique. The original design came from an Oisrí shell that I found on the beach near the studio. Your Oisrí Necklace is packaged in a contemporary designed Gift Box that secures it during its travel to you. For your piece of mind and security, we ship using Registered Mail with Track and Trace.